This time of year, everything is pumpkin; pumpkin donuts, pumpkin bread, pumpkin pasta and yes, of course, the pumpkin spiced latte. 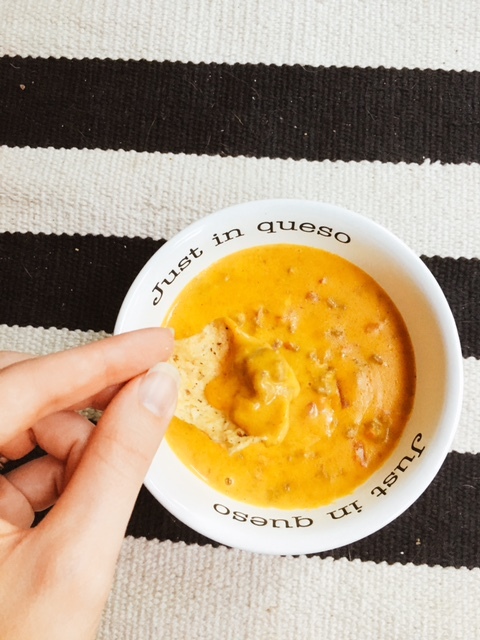 WARNING: This recipe is not just another pumpkin recipe, this recipe is queso with pumpkin. 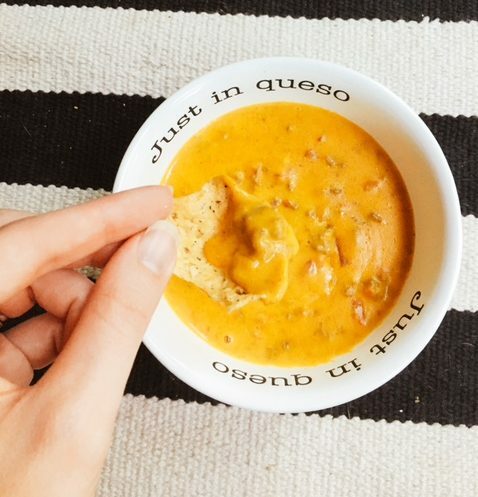 The pumpkin lends the perfect color and texture to the queso so even the pickiest of eaters won’t know the secret ingredient. You are getting all the nutrition of the pumpkin with none of the taste. 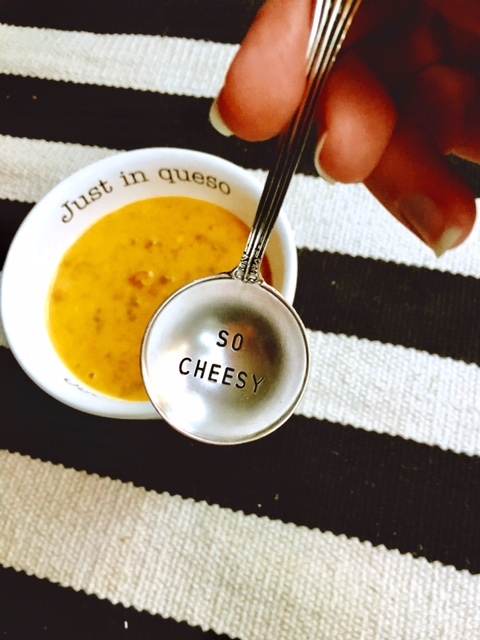 This recipe is so cheesy and delicious. Notes: For extra creaminess stir in a dollop of sour cream or plain greek yogurt. For a heartier taste I recommend adding a can of black beans, ground beef, spicy sausage or even quinoa. In a medium pot whisk together, broth, pumpkin, flour, spices, and reserved tomato liquid, over medium high heat. Bring pot to a boil and stir until thickened. 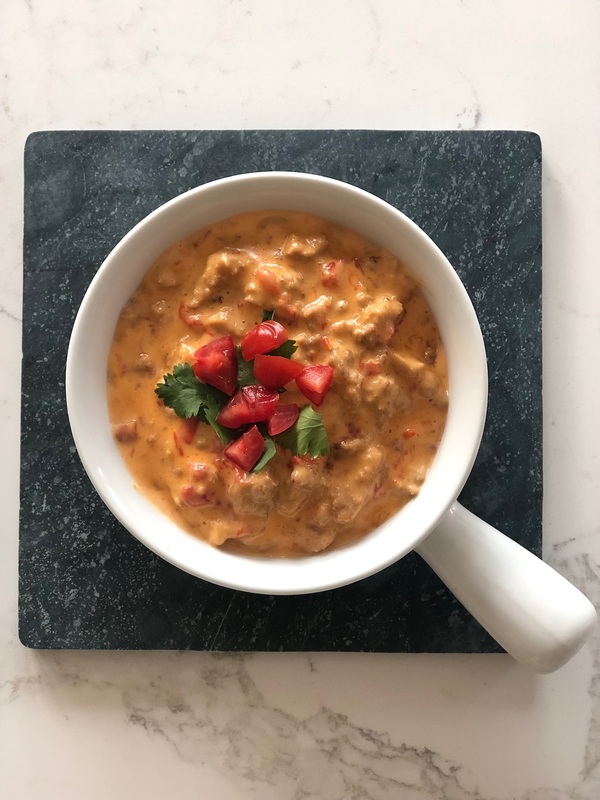 Stir in cheese and tomatoes. 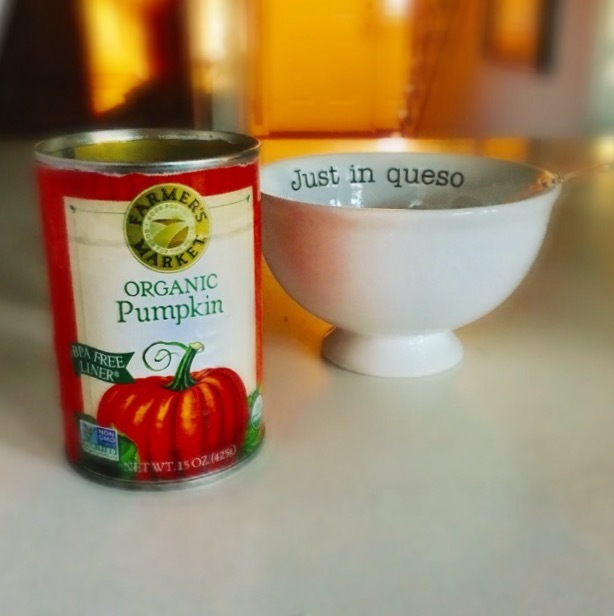 This recipe has all the comfort of queso but all the benefit of pumpkin. That’s why we call it que-ZA!